As posted in my entry Jam packed Saturday, I will be going to The Mommy Mundo Bazaar for the first time. Last Saturday, right after Jabe's monthly check-up, we headed straight to Rockwell Tent for the Mommy Mundo Bazaar. It has been a long time since I was at Rockwell, I think I have not been there for more than a year already, that was ever since we transferred here at Pasig. When we got there, we were told there are two lines, one for those who already had their passports and just claiming their planner, and the other one for those who still have to claim their passports. I went in line to claim my passport and planner while Ayie and Jabe waited for me. More than 10 minutes, I still am 3rd in line as they can not find the passport of the mom that was in front. Finally, they asked the mom if she's willing to just come back at the table later after she shop so they can look for her passport and that other moms (like me!) who are waiting can already be assisted. The girl at the registration table then asked for the next mom's name, and looked for her passport as well which was again, missing. And so, have to wait another 10 minutes or so. While patiently waiting, the other girl who was supposed to be in charge for those who already have passports, called someone from the back of line, only for me to find out that the mom she called was also claiming her passport. I immediately called her attention that there is a line, people are watiing and why does she have to call someone who just arrived. And she answered, "Sorry po, di ko napansin!" what the heck! It's quite impossible that she would not notice that there is already a line building up in the claiming of the passport. But nevertheless, she gets the list from the other girl to look for the name of the one she called, she also tried to get the stack of passport cards to look for the girls card and also told her colleague to look for that name as well. But, the impatient me, told her furiously how could she assist someone who just came in and totally ignore us who have been patiently waiting. I was already fuming mad and I was already planning to ask for the person who is in-charge of the event and totally complain about what the girl is doing is totally wrong! Good for her, that her other colleagues had stopped her from what she is doing. And also she should be thankful that my husband had told me not to compalin anymore and just let it pass. 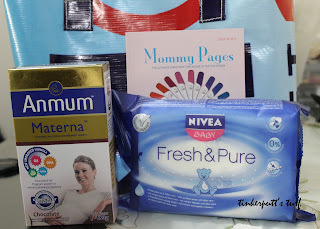 So it goes, I got my passport and my planner and the other freebies which are Anmum Materna (might as well give this to my sis-in-law who is pregnant) , Nivea Baby Fresh and Pure Baby Wipes, and the Mommy Pages. I forgot to bring an extra bag so I decided to buy one of their tarpaulin bags which costs Php35.00 each. It was small and can only hold very few items. 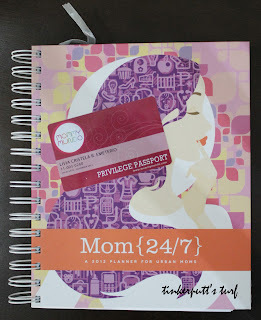 This would be my second planner for 2012, as I already have the Belle de Jour Planner 2012. Would I be using both? I might be able to! I am a planner addict, and I write everything that comes to mind in my planner. I also made use of it as my expense and income tracker. We started going around. Our first stop was the Imagine Nation booth, wherein Jabe and I had our photo taken so we could join their Christmas Portrait facebook contest. Please see my previous post on entitled Christmas Portrait by Imagine Nation Photography on how to help us win. Too bad I was not able to fully inquire at the Aqualogic Swim Co, booth because the people manning the booth were too busy talking to themselves and make "chika" rather than talk to potential clients. I hope they are not like that if I do inquire directly at Aqualogic,. 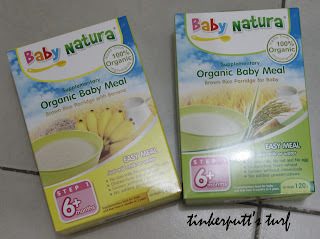 We also got Jabe, 2 boxes of Baby Natura Organic Baby Meal. His pedia already told us he can be given foods. But I plan on giving Jabe a home cooked meal. this might only come in handy if I am not around (that is big IF!) and when there are no more stocks in the fridge and time to do the grocery. 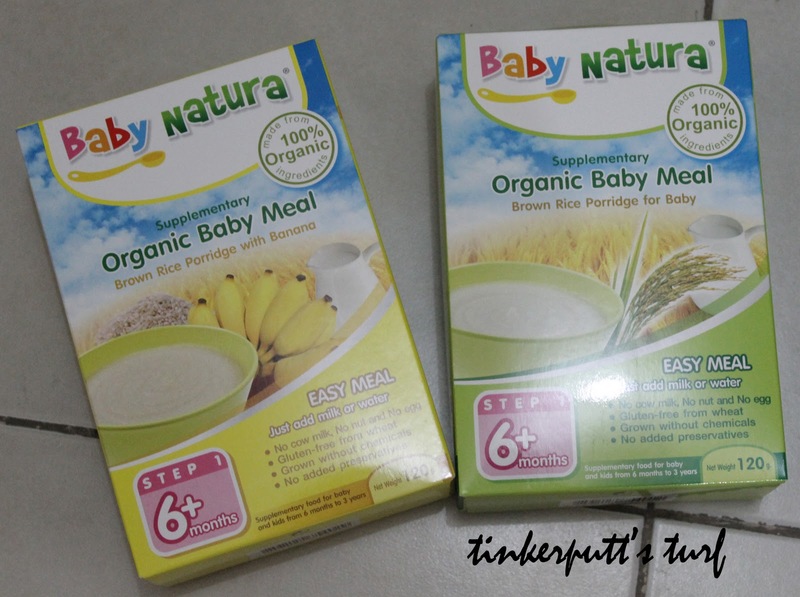 The Baby Natura Organic Baby Meal costs Php 180 per box, we got two boxes, one original and one with banana. 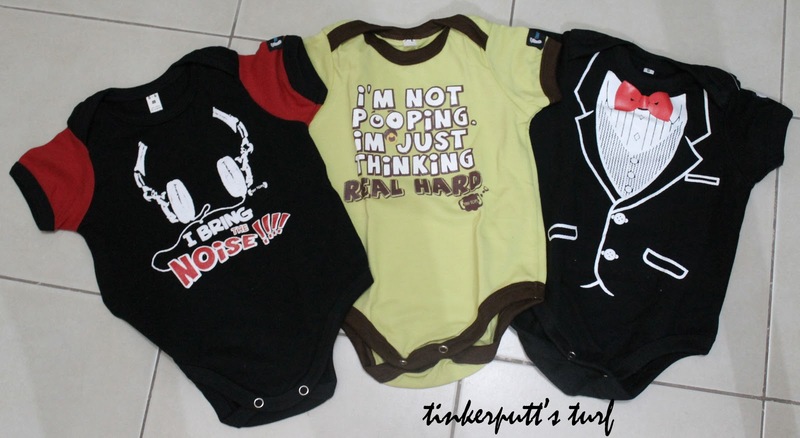 We also got a Gift Certificate worth Php 500.00 from Musikgarten Manila. They hold trial classes every Saturday at 930am. 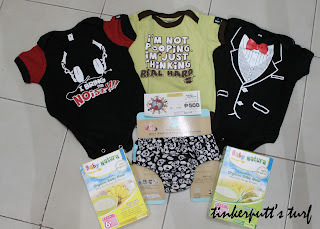 Jabe might give it a try hopefully by next month, and if he liked it I will enrol him in a weekend class since I am also planning to enrol him at Gymboree during the weekdays. It was fun running into Mommy friends around the Bazaar. Everyone was busy looking for items they might be needing for their little one. I even forgot to buy busha socks for Jabe and also Nursing Wear for me :( I'll just order online for these ones. It was also great to meet Mommy Paola of Mommy Treats. As expected she was really pretty. I even hesitated approaching her because I don't know if she'll remember me as one of her clients. Well, I approached her told her who am I and how glad I am about the products I have ordered from her ( see my post Update on Mommy Treats and Mommy Treats - Chocolate Minicupcake ) and also introduced Ayie and Jabe to her. She's very nice and accommodating and friendly and oh did I already say, pretty? We didn't stay long at the Bazaar since some items of the concessionares are priced higher as compared when you order them online and stocks are very limited. All in all, I can say that it was a successful event and I had a good time going around the bazaar (well, except for the not-so-good experience I had at the registration area!). Kudos Mommy Mundo! More power! Looking forward to your next events!